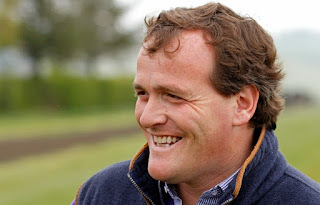 As if his father, Richard Hannon Snr., five times Champion Trainer, wasn’t a hard enough act to follow, Richard Hannon Jr. made a rod for his own back by winning the Trainers’ Championship at the first attempt in 2014. Still, having saddled Night Of Thunder to win the 2,000 Guineas at Newmarket and Toronado to win the Queen Anne Stakes at Royal Ascot in that initial season, Hannon has managed at least one winner at the highest level each year since taking over the reins at Herridge and Everleigh Racing Stables in Wiltshire, South West England on New Year’s Day 2014. Of all his early successes, Hannon singled out Toormore, his first runner in Hong Kong since taking over the training licence, as “one that I remember for the rest of my training days.” Toormore contested the Hong Kong Mile at Sha Tin in December 2015 and, although ultimately well beaten, Hannon described the 4-year-old as a “real professional”. More recently, Richard Hannon saddled Barney Roy to win the St. James’s Palace Stakes at Royal Ascot and, in doing so, avenge an arguably unlucky defeat by Churchill in 2,000 Guineas at Newmarket the previous month. On the Rowley Mile at Newmarket, Barney Roy stumbled and became unbalanced on the descent into ‘the Dip’ and, although he stayed on well under pressure, could make no impression on Churchill in the closing stages, going down by a length. It’s fair to say that Churchill was below par at Ascot, but Barney Roy subsequently failed by the minimum margin to overhaul Ulysses in the Coral-Eclipse, proving himself a top performer over a mile and a quarter. Hannon said of him, “Barney Roy is by far the best colt I have trained and the most athletic horse I have seen. We look forward to seeing his yearlings at the sales.” The Excelebration colt does not, as originally planned, stay in training as a four-year-old and now stands at Dalham Hall Stud in Newmarket. Looking forward, Brian Epstein, by the excellent young sire Dark Angel out of Jewel In The Crown – who Richard Hannon Snr. trained to win the Cherry Hinton Stakes as a two-year-old – is just one potentially smart unraced juvenile that Hannon has in his yard for 2018. He’s also recently celebrated his first winner in the United Arab Emirates, with the victory of Oh This Is Usin the valuable Shaista AZIZI Handicap at the Meydan Carnival. It's a Grand Time for the Nation to Bet! There's certainly been no lack of excitement in the racing world of late. From the 12th - 15th March we were treated to the ever popular Cheltenham Festival. This year's four day event saw a number of big odds winners hitting the bookmakers where it hurts, as well as record breaking performances by female jockeys. Bryony Frost and Rachael Blackmore both won Grade 1 races, with Blackmore doing so on 50-1 shot Minella Indo. The excitement from Cheltenham now rolls over to what most see as the pinnacle of UK racing, The Aintree Grand National. This enthralling three day festival culminates in the show piece Grand National race, this year held on Saturday 6th April 2019. The race will be watched worldwide by TV audiences into the hundreds of millions,as well as by a heaving on-course crowd. The Grand National is the one racing occasion where even those typically not interested in betting on racing decide to have a punt at picking a winner. Some do so based on name alone, just anything that stands out to them. Others take part in an office sweepstake or have a casual bet with friends. More shrewd types may well be analysing form and looking into the various betting bonuses and Grand National Free Bets on offer by online bookmakers. It's a competitive environment and a staggering £300 million is bet on the Grand National each year. Bookmakers are all looking to stand out from the crowd, and to gain your custom. Some bookmakers offer bet boosts and an increased number of places for place bets too. There are countless betting opportunities and incentives to explore. So, where then to place your bet on the 2019 Grand National? Well, we'd be remiss if we didn't mention current favourite Tiger Roll (7/2) high on the list. The winner of the 2018 event is looking to become the first horse since Red Rum to win this coveted race back to back. Fresh from winning the Glenfarclas Chase for a second years straight, Trainer Gordon Elliot, hailed Tiger Roll a 'horse of a lifetime' so he clearly has high hopes. Anibale Fly is joint second favourite at betting odds of 10-1 with Rathvinden. The Trevor Hemmings owned Vintage Clouds, available at odds of 14-1 is a decent choice too considering the owners prior successes (Grand National wins with Hedgehunter, Ballabriggs and Many Clouds) For those looking for a more speculative bet Warriors Tale and Ultragold are avaialble at odds of 66-1. It's not all about form analysis and the like though. With such a broad field and 30 fences to traverse over the 4 miles 514 yards distance, an element of good fortune is needed on the day too. As they say though, 'you make your own luck' and being guided by the right trainer can make a world of difference. The aforementioned Rathvinden stands out for this very reason, since trainer Willie Mullins has won the national twice before, so he's an old hand at the event compared to most. With up to forty runners on the day, whoever you put your money on, it's bound to be a sporting moment that captivates the nation. William Peter Mullins, usually known as Willie, has the distinction of being Irish National Hunt champion trainer 11 times and, in an illustrious career stretching back three decades, has won most of the high-profile races. He has saddled 61 winners at the Cheltenham Festival and won the Grand National with Hedgehunter, ridden by Ruby Walsh, in 2005. The one notable omission from his CV was the Cheltenham Gold Cup, in which he had saddled several well-fancied runners over the years. In September, 2016, in a shock move, which had a seismic effect on the National Hunt landscape in Ireland and beyond, Gigginstown House Stud removed around 60 horses from Mullins’ County Carlow yard after a row of training fees. Around top-class 20 horses were transferred to Mullins’ arch-rival, Gordon Elliot, but Mullins still managed to secure the trainers’ title after an epic battle that lasted until the penultimate day of the season. In the 2017/18 season, though, having played second fiddle to Gordon Elliot at the Cheltenham Festival for the second season running, Mullins headed to the Punchestown Festival in April with little, or no, chance of retaining his crown as Irish National Hunt champion trainer. However, after losing out on a winner on day one, when Paul Townend, deputising for the injured Ruby Walsh, inexplicably steered Al Boum Photo around the final obstacle in the Champion Novice Chase with the race at his mercy, Mullins saddled a stunning six-timer, including a one-two in the Punchestown Gold Cup, on day two to keep his title chances alive. In 2019 Mullins finally found the missing puzzle piece, a Cheltenham Gold Cup, win with 12-1 shot Al Boum, ridden by Paul Townend. The seven year old gelding took control two fences out, battling past Anibale Fly in the process, gifting the 62 year old trainer a memorable victory. 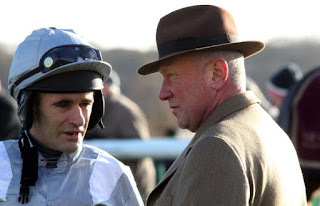 "I had probably resigned myself to the fact I would not win the Gold Cup," said Mullins. There's a lesson in perseverance there for us all. 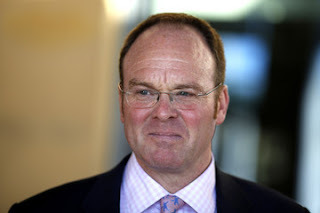 That involvement began with Paul Cole, for whom he worked, unpaid, as assistant trainer for two years. In September, 1996, he bought Summerdown Stables in East Isley, Berkshire from Simon Sherwood and started training, with just eight horses, the following spring. Two decades or so later, Morrison, 57, is still at Summerdown and has saddled over 800 winners. Ironically, Morrison recorded his first major success with Frenchman’s Creek, whom he also bred, in William Hill National Hunt Chase at the Cheltenham Festival in 2002. 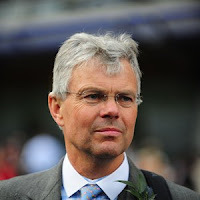 He also fondly remembers Tom Paddington, bred by his second wife, Mary, who broke down over hurdles at Newbury in 1999, but won on his reappearance at the Berkshire course in 2002 after 1,351 days off. “You can’t buy that sort of pleasure”, Morrison recalled. In May, 2017, Morrison was charged by the British Horseracing Authority after his 4-year-old filly Our Little Sister tested positive for the prohibited anabolic steroid nandrolone laurate after finishing last of nine, beaten 19 lengths, in an otherwise unremarkable handicap at Wolverhampton the previous January. He took the unprecedented step of offering a £10,000 reward to clear his name, claiming that the horse had been maliciously injected. At a subsequent independent disciplinary hearing, Morrison conceded that he was in breach of the strict liability rule, but claimed that deliberately doping Our Little Sister – who had a handicap rating of just 52 and was retired from racing a maiden after nine starts – would have been “professional suicide”. In any event, he was found “not to blame” and fined the minimum £1,000. With the festival season almost upon us, it's as good a time as any to take a look at trainers known for their ability to master the big occasions. Of course it's only days now until the Cheltenham Festival begins so it'd be remiss of me if I didn't highlight the horse trainers with a stellar record at the event. Cheltenham is a broad challenge when compared to the Grand National on account of the number of races involved in this prestigeous four day festival of racing. The real jewel in the crown of this showcase of high quality racing is the Cheltenham Gold Cup, held on the final day of the festival. The most successful Cheltham Festival trainer is Willie Mullins with 61 winners, closely followed by Nicky Henderson with 60, and Paul Nicholls with 43. How does this data translate to both betting odds and where to place your money during the 2019 event you may ask. Well, the more information you're armed with the better in my book, especially when you're on the look out for betting opportunities. At time of writing, current favourite with bookmakers for the 15th March Gold Cup is Presenting Percy at 10/3, followed by 2nd favourite Clans Des Obeaux at 4-1 and Native River at 5-1. The Colin Tizzard trained Native River was last years winner, so a repeat would be somethng special. Clans Des Obeaux is trained by the aforementioned Paul Nichols so if trainer pedigree factors into how you place your bets, this could be a good choice. They're perhaps a little short for an each way / place bet, but if you're going for a win bet these three are all decent options. Hot on the heels of Cheltenham comes the one and only Grand National. It's thought that close to £300 million will be bet on the Grand National this year with TV audiences into the hundreds of millions. Crazy numbers. 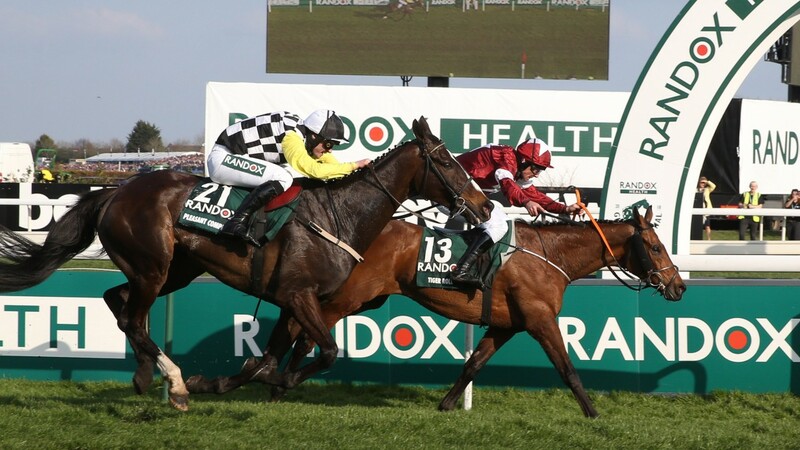 Even those typically not interested in betting, tend to enjoy a flutter on the Grand National and due to the size of the field, there are plenty of big priced Grand National betting opportunities to be had. Perhaps the comically named Splash of Ginge holds appeal for you at 100-1 or Rathlin Rose at similar betting odds. Current favourite is last years winner, Tiger Roll at 12-1 and Rathvinden at around the name odds. The field size also makes an each way / place bet a more realistic option for punters. Much like Cheltenham, some trainers of course have much more pedigree in the Grand National than others. 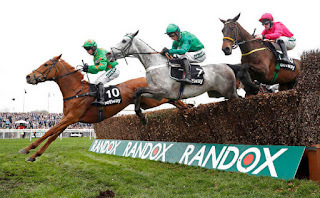 The Grand National is more of a precise, yet unpredictable, event in some ways. It's a single race focus rather than the broader stroke of looking at Cheltenham Festival wins. 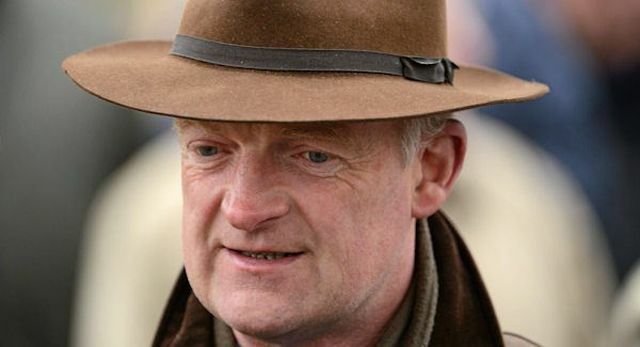 The most successful Grand National trainer of all time is Nigel Twiston-Davies with 106 runners and 9 wins, followed by Jonjo ONeill with 67 and 5 wins, David Pipe with 66 runners and 3 wins and Willie Mullins with 2 wins from 57 runners. Mullins will have his fingers crossed during this year's Grand National as he trains Rathvinden, a horse in with a real chance in the race. Nicholas Gordon “Nicky” Richards is based at Greystoke Stables – the yard made famous by his father, the late Gordon W. Richards – near Penrith, Cumbria. Nicky took over the licence at Greystoke following the sudden death of his father in September, 1998, and saddled his first winner, Better Times Ahead, in a two-runner handicap chase at Carlisle the following month. Richards Jnr. achieved his first major success with Feels Like Gold in the Becher Chase, over the Aintree Grand National fences, in November, 1999. However, having inherited a yard whose established stars were on the wane, it was nearly four years until he achieved his second, The French Furze, in the Fighting Fifth Hurdle at Newcastle in November, 2003. Faasel went perilously close to winning the Triumph Hurdle at the Cheltenham Festival in 2005, eventually going down by a head, but put matters right when winning 4-Y-O Novices’ Hurdle at Aintree the following month by 7 lengths. Unquestionably the most successful horse he has trained, so far, though, was Monet’s Garden, who won 17 of his 32 starts under National Hunt Rules between 2003 and 2010 and earned £683,285 in total prize money. Monet’s Garden won three Grade 1 races, the Ascot Chase and the Melling Chase at Aintree in 2007 and the Ascot Chase, again, in 2010. Richards enjoyed his best season ever, in terms of both total number of winners and total prize money in 2006/07, thanks mainly to the exploits of Monet’s Garden. At the end of that season, he had saddled 64 winners and earned £787,140 in total prize money. Unfortunately, he hasn’t reached the same level since but, nevertheless, continues to saddle high-profile winners granted the right ammunition. In 2017, he trained Baywing to win the Towton Novices’ Chase at Wetherby, Guitar Pete to win the bet365 Handicap Chase at Wetherby and the Caspian Caviar Gold Cup at Cheltenham and the Simply Ned to win the Paddy’s Reward Club Handicap Chase at Fairyhouse. More recently, Baywing also won the valuable Eider Handicap Chase at Newcastle in February, 2018. In the case of Dr. Richard Newland, “Doctor” isn’t an honorary title. Dr. Newland studied medicine at Cambridge University and, until 2013, was a full-time General Practitioner, working for the National Health Service in Sutton Coldfield. He remains the chief executive of a private healthcare company in the town but, for over a decade now, has been leading a double life befitting a comic book superhero. Racing, Dr. Newland says, “is just for fun” and, despite spectacular success over the years, has vehemently resisted becoming a full-time trainer to avoid too much stress. Dr. Newland became a permit holder in 2006 and took out a full training licence in 2007. In his first season, he saddled Overstrand to win the William Hill Handicap Hurdle at Sandown and the Betfair Handicap Hurdle at Ascot, collectively worth nearly £79,000, as well as his first winner at the Cheltenham Festival, Burntoakboy, in the Coral Cup in 2007. Dr. Newland later recalled, “Overstrand and Burntoakboy’s successes did come as a shock but made me realise I must have been doing something right.” Interestingly, Dr. Newland is an exponent of what he calls “free range” training or, in other words, allowing his horses to walk around the fields for at least eight hours a day. Dr. Newland is based at Linacres Farm, Claines, near Worcester and has just 12 horses in training at any one time. He has a theory that once a horse has performed well, it has proved that it is, genetically, capable of doing so and should, under the right circumstances, be capable of doing so again. The theory has served him well, because he has built a reputation for finding cheaper, out of form horses and bringing them back to form. Perhaps none more so than Pineau De Re, who he acquired from Philip Fenton as a 10-year-old in June, 2013 and saddled to win the Grand National less than a year later. Pineau De Re had fallen on his previous attempt over the National Fences in the Becher Chase the preceding December but, on his two starts immediately before Aintree, hacked up in a veterans’ chase at Exeter and finished strongly to be third, beaten a nose and a neck, in the Pertemps Network Final at the Cheltenham Festival. Dr. Newland admitted to being “quite excited” about his first National runner and he wasn’t to be disappointed; ridden by Leighton Aspell, Pineau De Re led at the second last fence and drew clear on the run-in to beat Balthazar King by 5 lengths at odds of 25/1.